We lost Asghar Engineer on 14th May 2013. It is an irreplaceable loss to human rights movement, anti communal struggle, to the movement for preservation of secular values. This is a small tribute to my esteemed, close and very dear friend. The events of last over three decades have shown us, more than before that the efforts of dividing the nation by communal forces have been a major obstacle to social peace and process of development. In India while the communal violence began with the Jabalpur riot of 1961, it is from last couple of decades especially from 1980s that the divisive politics has tried to drive a wedge between different communities along religious lines. The regret is that it is only few social workers and scholars who took this issue in all its seriousness and Asghar Ali Engineer can be counted amongst those few. He also spent major part of his social efforts to fight against the ideology and machinations which led to communal violence and the victimization of minorities, time and over again, year after year. Engineer was a student when Jabalpore riots took place. It clearly left a deep mark on him. The imprint of this tragedy got reflected in his social engagement with the issues related to communal violence and communal politics all through. His talks and articles reflect about the impact of Jabalpur violence, its impact on nation and its influence on the conscience keeper of the nation, Pundit Jawaharlal Nehru. Engineer’s work on the issue of communal violence, communal ideology and communalization of society spans on a vast canvass and will easily fill volumes. His work, to be referred below, shows that he took a serious interest in understanding the dynamics of communal violence, he must have spent days in and days out, investigating the communal riots, their aftermath and their impact on the social and political affairs. He can easily be credited with being the major scholar-activist who pioneered this area of investigation. He spent enormous energy to investigate and analyze the communal violence in India. 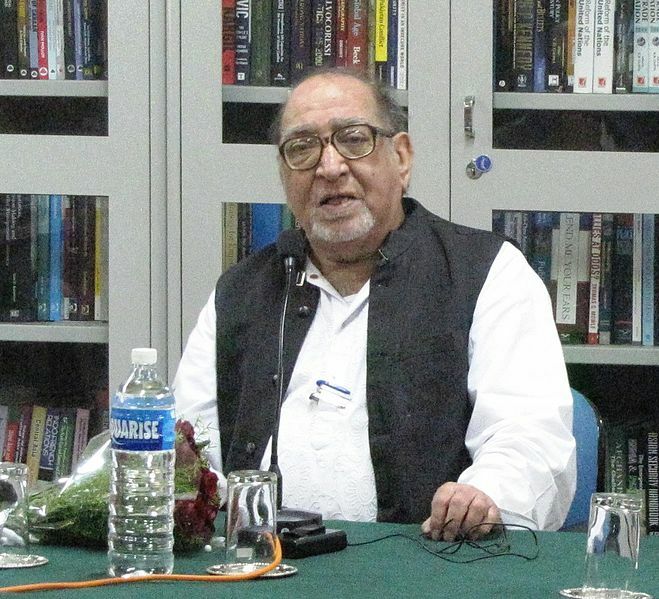 He can also be regarded as the foremost scholar-activist who not only commented on the issues related to communalism, but also gave his forthright opinion on the range of those, against the heavy odds. He has been criticized by the communalists of both the religions for his opposition to the politics of violence in the name of religion. This article takes an overview of his work in the area of communal violence investigation and his contribution to campaigns for promotion of secular values. It is based on understanding his work from the vantage point of a close working relationship with him as a friend and associate. I have also tried to take the overview of his massive contribution from the point of someone who not only witnessed his work from close quarters, with awe admiration and some criticism, but also tried to learn from him to give direction to my own work. The communal violence of Jablapur (1961) shook Engineer very deeply; the very concept of violence in the name of religions was anathema to him as he was steeped in the spirituality of Islam right from his childhood. He was taught that Islam does not preach violence, and no religion teaches violence, so why this violence in the name of religion. This is the point when he decided to devote his life to promote communal harmony. It was an event which was to shape the course of life and work. He not only intervened after the events of communal violence to douse the fire of the violence but made it a central part of his initial life as an activist to investigate the acts of violence in depth. Starting from Biharsharif riots to Gujarat carnage, he spent time in unraveling the truth of the violence mostly by field studies. His reports on these events are a landmark in the area of riot investigation, in understanding the underlying machinations of this phenomenon. Biharsharif was a stronghold of CPI due to its following amongst the Bidi workers. Dr Engineer could unravel that RSS in order to spread it hold in the area, used the dispute between Yadavs and Muslims over the land for cemetery, to instigate the violence (1981). Godhra witnessed riots on and off during 1980-81. Engineer investigated these riots as a part of a team. The conflict here was mainly between Sindhis and Ghanchi Muslims. While Sindhi immigrants were looked down by other Hindus, for various reasons but those Hindu groups supported them against Muslims. The material reasons of poverty of Ghanchi Muslims and growing demands of Sindhis for facilities was the root cause of the trouble which assumed religious color. The report pointed out that rumors played a lot of role in this violence. Engineer also studied the Ahmedabad violence of 1982. Extensive field investigation was done for this. In this case the poor Muslim locality of Kalupr and Daryaganj face the brunt of the violence. An incident over kite flying turned into stone throwing and violence. Just prior to this; VHP had started its work in these areas and prepared the ground for the skirmishes. VHP virulently talked against the conversions of Dalits to Islam. The communal forces resorted to heavy propaganda, especially through distribution of leaflets in the area. These leaflets used a communal version of history, demonization of Muslim kings, and emphasis on singing Vande matram, and opposing those who kill cow. Some people drew the attention of Gujarat government to this virulent propaganda, but there was no response to those appeals. The aggressive campaign of VHP intimidated the Muslims. VHP took out a procession with portraits of Golwalkar and Manusmiriti, along with those of Gandhi and Ambedkar. The procession tore down the hoardings with Muslim names, including the one of Maulana Abul Kalam Azad and shouted anti Muslim slogans. The procession changed its permitted route and entered Muslim locality, attacked Muslim hotels and shops were stoned. In Sholapur also situation was similar. Here they propagated the myth of rising Muslim population to provoke the people. Here also trouble began with VHP procession on 15th Feb. 1982. The procession when it came near Punjab Talim Mosque, it started giving anti Muslim provocative slogans. There was attack on small shops owned by Muslims after which Muslims were attacked. Meerut riots have also been a big sore on our polity. Meerut a city with great syncretic traditions also suffered the violence. Here the main goal was to co-opt the dalits, to give them liquor etc and to use them for violence against Muslims. Here the riot had more political reasons than economic ones. The riot was instigated on the issue of some piau (where one gets water to drink). One Muslim advocate and another trust were involved. Tension mounted in April 1982 and the provocative propaganda was stepped up. Biased attitude of police and communal slant of newspapers added to fuel to the fire. Similarly Vadodara Hyderabad and Assam riots were also studied by him. His major observations have been that a small incident is taken advantage of by communal forces, the rumors add havoc to the situation and communalized state apparatus, police in particular, plays a partisan role, worsening the plight of minorities. Apart form these riots of Mumbai 1992-93 (Report of EKTA Samiti, 1993) Gujarat carnage has also been studied by him (Sowing Hate and Reaping Violence, CSSS 2003). The studies by him have been used as a base by many a scholars to make interpretations and conclusions about the phenomenon of communal violence. He does interpret every riot on its ground and the specificities of the particular violence are well reflected in his studies and reports. Another aspect which emerges from his studies and reports is that gradually the intensity of communal violence is worsening, and it did peak in Gujarat violence. He has vividly presented the failure and complicity of police machinery in this violence. It seems that the deeper process of communalization has been going up in last three decades. And now even the other minority Christians have also been brought under the chopping block of communal forces. He also draws our attention to the fact that these episodes are not sporadic or spontaneous. There is a deeper motive behind these. There is a good deal of planning in such episodes. His other studies-reports show that popular perceptions about minorities lay the base for violence, the propagation of myths and biases against Muslims and Christians make the job of the communal group easier. What is undeniable is that communal forces take advantage of every conceivable opportunity to strengthen them, first by instigating the violence, then perpetuating it and in the process they increase their political power. Activist’s scholars in India have faced a challenging task of understanding, defining and intervening in the situations related to communal violence. How does one understand the phenomenon of communalism in Indian society? Why India is plagued with this problem? These must have been the issues dogging his mind when he began his parallel study of Indian history and analysis of contemporary issues. In his work the medieval history is presented not as a battle between Hindu and Muslim kings but as battles between kings for power and wealth. He draws heavily from original sources and from the works of national Historians. The issue of temple destructions, Jijia, policies of Muslim kings, spread of Islam and other aspects of social life during that period gives a good reflection of those times and is an effective tool in breaking the myths and misconceptions in peoples mind about it. The traditions of Sufis, Bhakti saints and their emphasis on values of love and amity is brought out effectively. The mixed traditions of society do convey that Hindus and Muslims were good companions and religion was not the cause of discord, the social interests were, and sometime surely these interests did come in the garb of religion. But communalism as a political phenomenon was introduced here after the coming of British rule. He takes up the vexed issue of role of Muslim leadership in freedom movement and the role of communalists, Muslims and Hindus both in aggravating the communal violence even in pre-independence India. He handles the issue of partition of the country very delicately to focus that the main responsibility of partition lies on the head of British, while Congress leadership and Jinnah’s obstinate nature added to the issue. He seems to agree more with Maulana Abul Kalam Azad on this point that partition could have been prevented had Maulana’s suggestion of sticking to Cripps Mission proposals been accepted. As a part of dispelling myths about Muslim minorities he has written on the ‘Role of Muslims in Freedom struggle’. Fascinated by the approach of Gandhi in politically uniting different communities and emphasizing on non-violence and peace he has also compiled volume on Gandhi and communal harmony. His fascination for Gandhian approach to communal problems is seen in his work all through. His sense of Gender justice is very strong and he has shown how Islam gives equality to women, and highlights how women are the worst victims of communal violence. The list of his contributions and web site give an ample insight into his concerns and how he has handled them in a humane manner. His regular publication, Secular Perspective has a good circulation and is reproduced in many a websites and newspapers across the globe. It is difficult to decide as to which aspect of Engineer’s work is more important than other. There is a deeper integration in different facets of the work and one can see the deeper connection between different facets of his work. His intervention in social issues began with his concern for communal harmony. His urge to study and understand the communal problem began with the tragedy of Jabalpur violence, later his study led him to intervene and undertake the campaigns and awareness work to promote communal harmony work. In Mumbai from late sixties he brought together like minded friends in to groups, Awaz-e-Biradaran. This group started talking about communal problem and raising the awareness about need for harmony through tasks in schools and colleges. As Engineer had deep interest in Urdu literature also, he did come in contact with prominent writers who also got involved in helping in the harmony work. With outbreak of Bhivandi riots, 1970, he camped in Bhivandi, along with friends including Balraj Sahni the renowned actor and Vinod Mubai, for two weeks, going to villages and talking to the victims and helping them. His group also involved prominent writers to issue the message of peace through All India Radio. In Mumbai he also became part of Indo Pak friendship movement. At the same time he came in contact with the Sampradayikta Virodhi Committee (Committee against Communalism) in which doyens like Subhadra Joshi and D.R. Goyal were associated and Engineer started contributing to their work. The response of Muslim leadership to the issue of Ramjanmbhumi disturbed him immensely, he held that Muslim leadership should be in the background, and the issue should primarily be tackled by secular activists and scholars. He also brought to the notice of Muslim leadership that it is important to agitate on the issues of Muslim poverty and backwardness. The Gopal Singh Committee report, which was lying in the cold storage, needs to be implemented. He himself involved many secular activists to issue appeals for peace. He took initiative to form EKTA Committee in the wake of Meerut riots in 1987. This became the platform for trade unions and other progressive people of Mumbai to campaign for peace and to oppose the rising tide of communalism. I witnessed his work directly mainly from 1992-93. During the Mumbai riots he undertook many a peace marches in troubled areas. The lasting impression in my mind is that of a sincere, honest and committed scholar activist. During the Mumbai violence, his office became a natural place for all the activists to meet and during those meetings over hundred activists used to throng to his office, standing in different corners of the small office, even balcony of the office used to be full to the brim. He used to sit in the middle, on the floor and used to conduct the meting and make the plans for action. Most of the planning’s were peace marches and community work. Behrampada, an area near Bandra was given special attention for work, peace marches. Peace marches were also organized in different part of the city. These marches had important effect on the psyche of society and these gave lot of hope to the victims. As a peak of these efforts on 26th January 1993, in the thick of communal violence looming on the horizon, he organized a Peace march into the main areas of Mumbai. These activities were supplemented by the investigation into the Mumbai riots and the report brought out by EKTA Committee was remarkable for its in-depth work. This brought him face to face with the reality that police; the arm of the state to control the violence itself is much communalized. He decided to approach the police authorities for conducting workshops for communal harmony. It will be impossible to count the number of these workshops scattered in different parts of Mumbai, Mahrashtra and all over the country. He was faced with the challenging questions based on the biases against Muslims, their food habits, violence nature, Muslim Kings destroying temples, polygamy and what not. To his credit he has been conducting this difficult workshop with dignity and modesty coupled with deep scholarship of the issues. Meanwhile he took up the task of formalizing the awareness programs and laid the foundation of Center for Study of Society and Secularism, which has emerged as the premier center for spreading awareness about secular issues. The CSSS, as we refer to it in brief, has also undertaken research on the contemporary issues relating to the National Integration. On awareness front CSSS began experimenting with various modules for different sections of community. Its workshops ranged from half a day affair to seven day in depth workshops for serious activists and teachers. These workshops cover the theme starting from History to the contemporary issues, terrorism, Islam and peace, values of freedom movement. I can guess that thousands of activists and others must have benefited from these workshops. CSSS has also set up Institute of Peace Studies and Conflict Resolution to formalize the training of activists into secular values. Plans were also made to initiate the longer training for activists, teachers and students. His own engagement with multiple lectures and accepting infinite invitations from all over the country and globe are another facet of his work. What needs a mention here is his membership of National Integration Council during the UPA regime (2004-2009). He forthrightly raised the issues related to harassment of minorities in the name of terrorism amongst other issues. His interventions, along with the similar ones’ from other important members and the efforts of tribunal on the issue, did affect the Government policy. With these interventions the routine pursed by Police authorities to arrest large number of innocent Muslims youth in the wake of blasts anywhere, came to halt. He has also been a major part of the process to bring together all the activists working for the cause of secularism. Groups working for communal harmony all over the country have come together as a platform from last few years, All India Secular Forum. While one is talking on the social contribution of a person of high stature, there are some anecdotes which have been very touching at personal levels. I have shared lot of meetings and travels together along the course of our work. The interaction during these periods has been learning and sharing experience for me. One is privy to sharing his thoughts and ideas on most of the issues. I cannot help but recount an anecdote, which has left a deep impression on me. One of the mornings we were standing in front of one of the meeting halls in the Mumbai University campus. The seminar was to begin in another 10-15 minutes or so. As we were waiting, one of the speakers came in a taxi and we welcomed him. As we were talking to the speaker, the taxi driver got down, did a respectful namaste (greeting) to Engineer and said, ‘Sir please continue your work, your writing, it is a source of peace for the society’. I am sure there must be innumerable persons around the globe with similar sentiments for him.